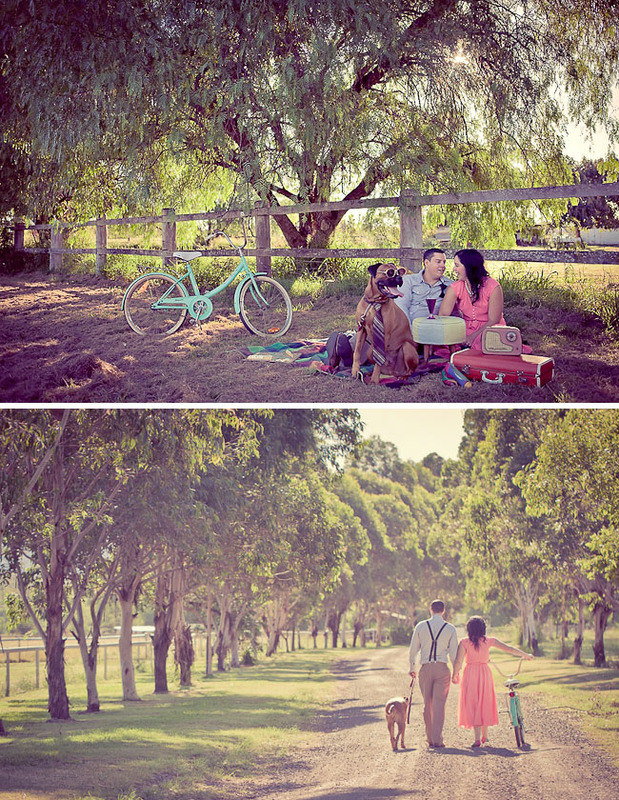 When Darren from Ck Metro Photography shared this adorable engagement session, I was speechless. 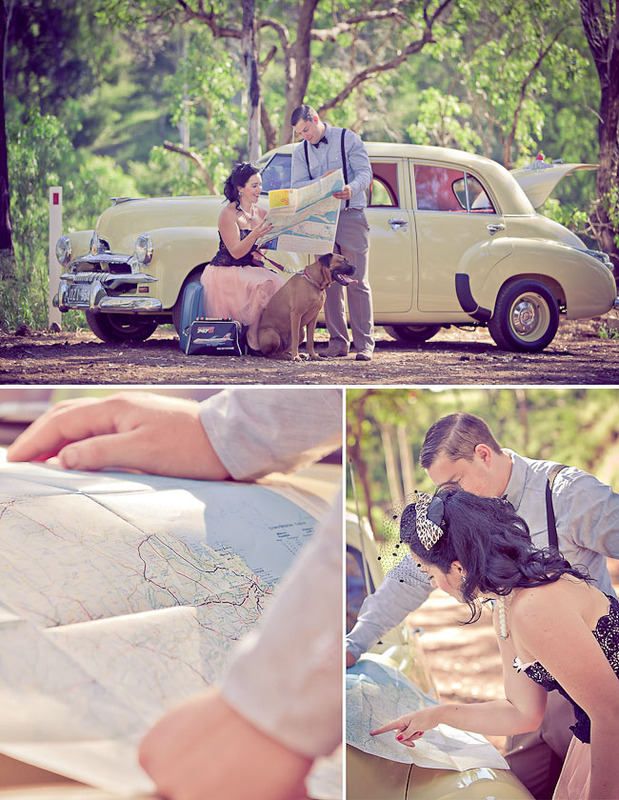 It takes place in Toowoomba in Queensland Australia + is so perfectly vintage! 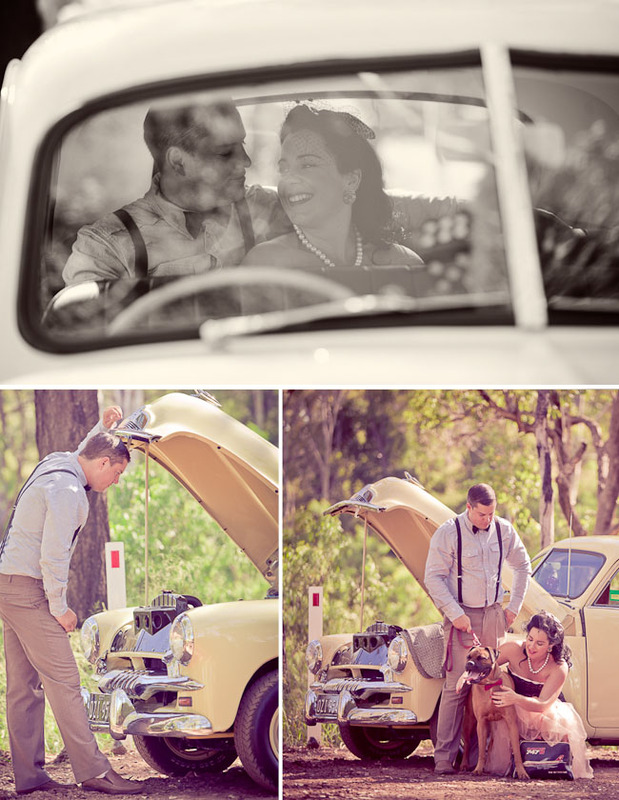 Peta (the bride to be) loves collecting old things and along with her mom have collected an amazing arrangement of furniture and old items – her parents even have a beautiful fully restored FJ Holden that they used for the photos – so gorgeous! 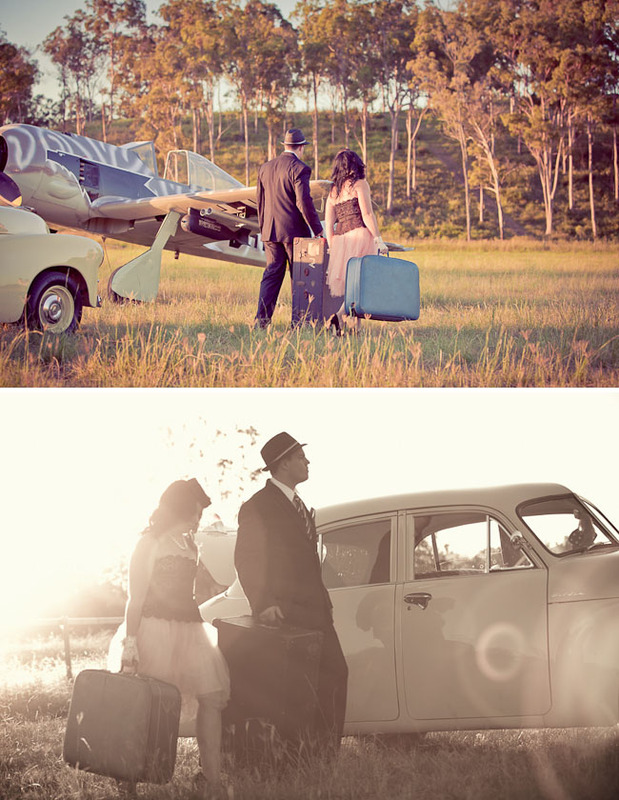 So, here is their 1950’s inspired photos with a beautiful drive in the country, a plane ride (!) 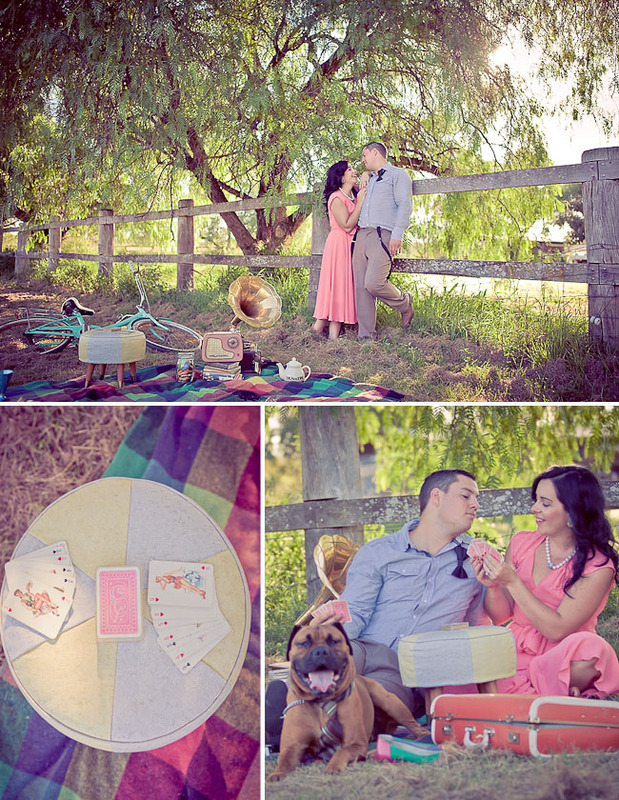 and a stop for a picnic proposal beautifully styled by Erin from Vera and Rose. 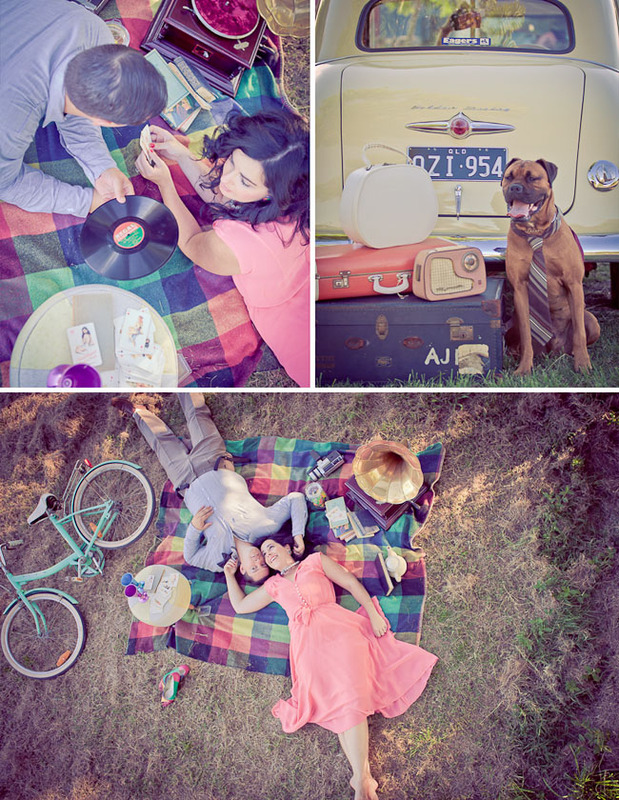 Oh, and just love that they included their dog in the photos too! yep. pretty much impossible to top that. 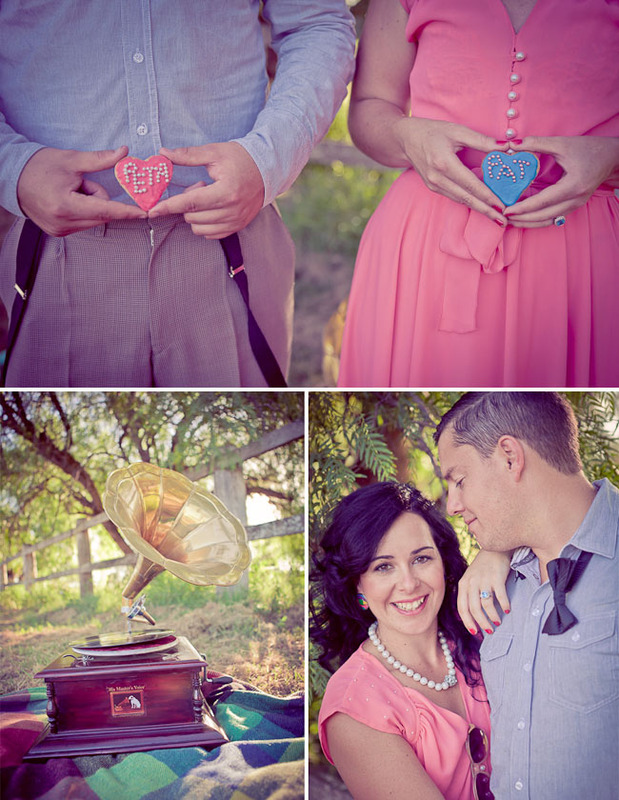 they win the most-vintage-everything-ever award. insanely cute :) love it. Yep. the list is blank. That puppy in sunglasses reminds me of my kitty in my sunglasses! 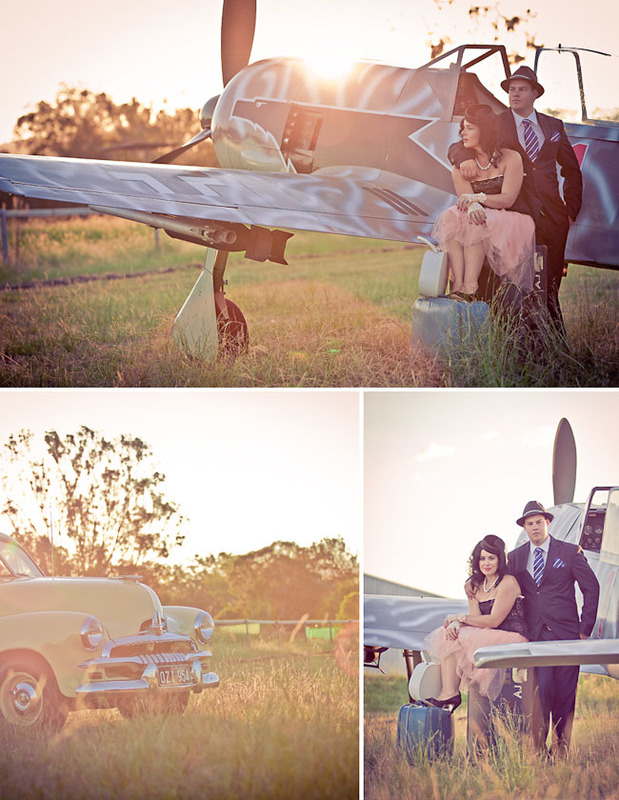 Such an amazing shoot! 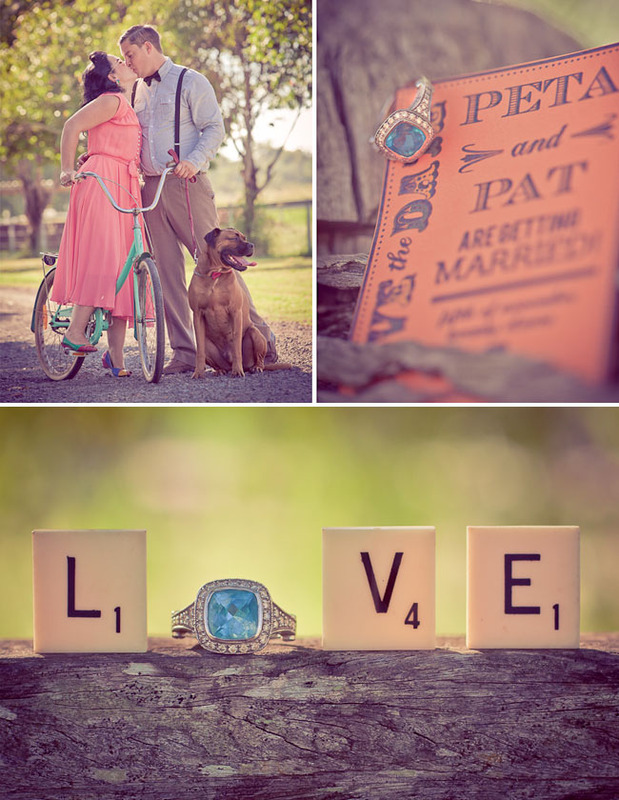 I love the engagement ring photo, and all the settings! So beautiful! and I LOVE HER RING! WOW, these guys really went for it, huh? 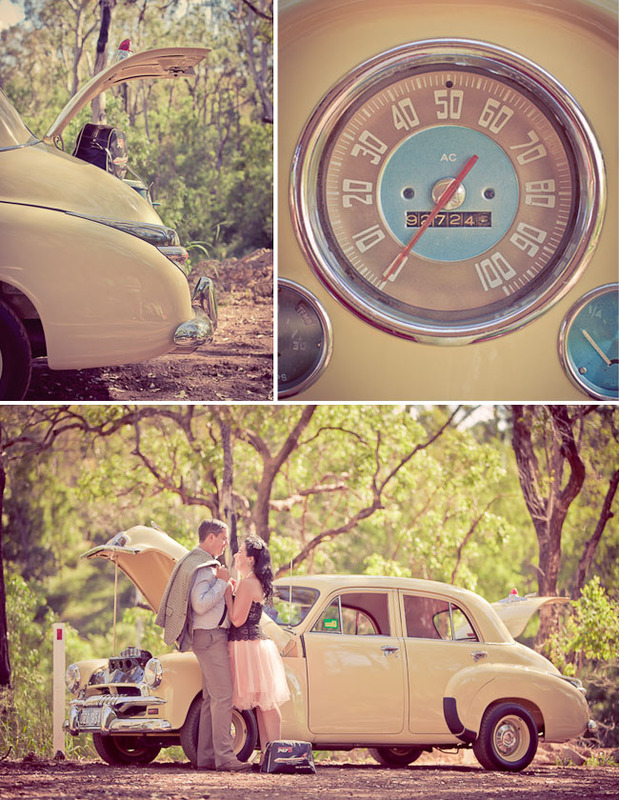 rad job with sticking the vintage theme! 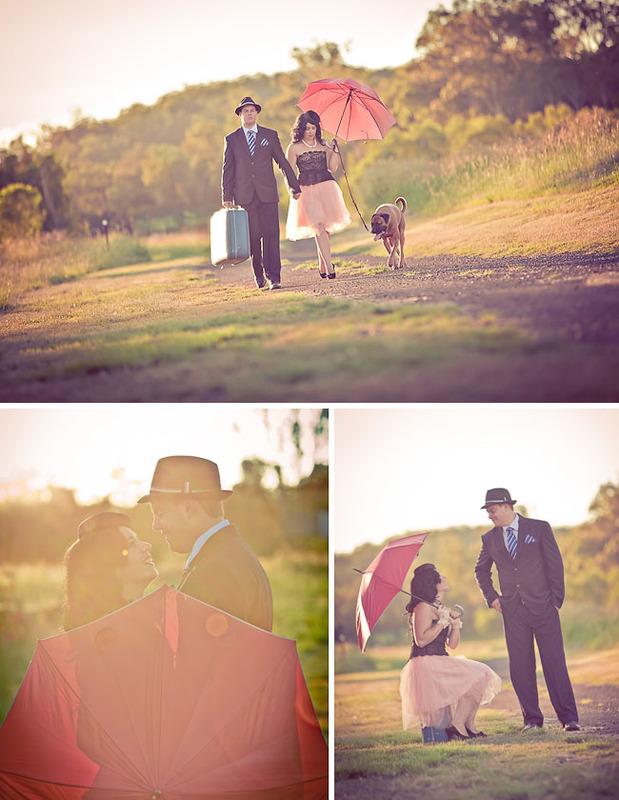 What an outstanding stylized shoot. 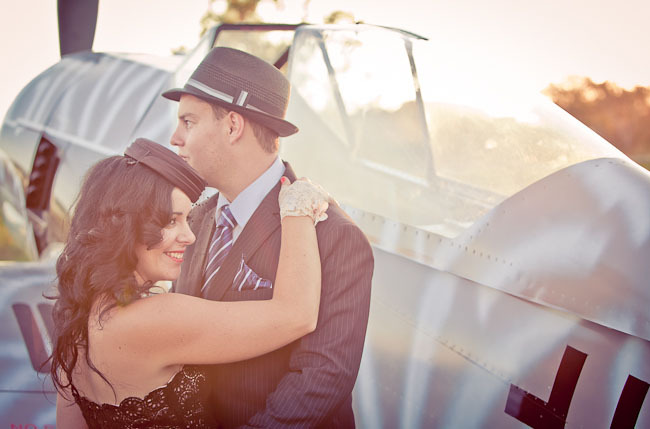 All of the vintage clothes/props/accessories are wonderful. The last image is my favorite! 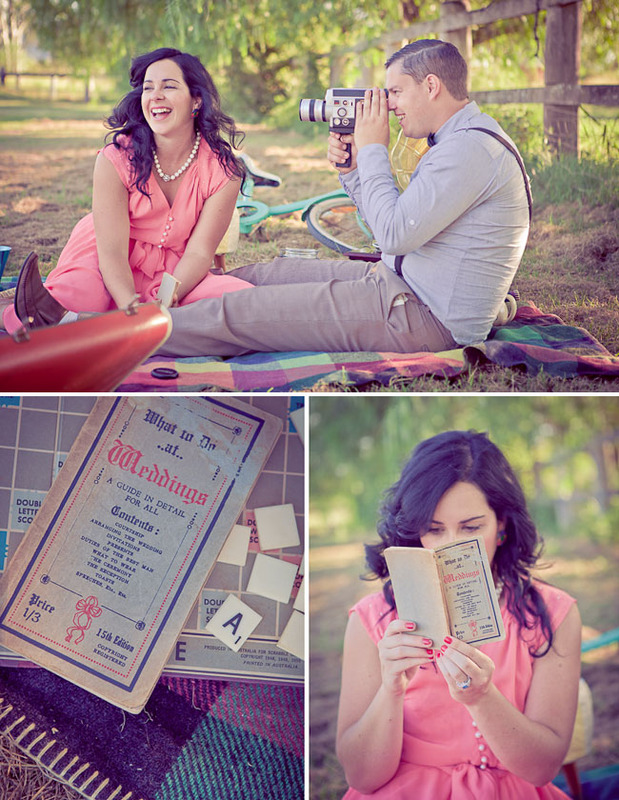 LOVE this concept for an engagement photo shoot. How adorable! And great props, too! I love her dress! Where is it from? That last photo is perfection! I hope they frame it! adorable! love love love her ring! thanks all for your SUPER LOVELY comments and tweets. the last photo is our favourite and will be getting put up on our wall at home. I ADORE my ring too and never get sick of seeing it on my finger. 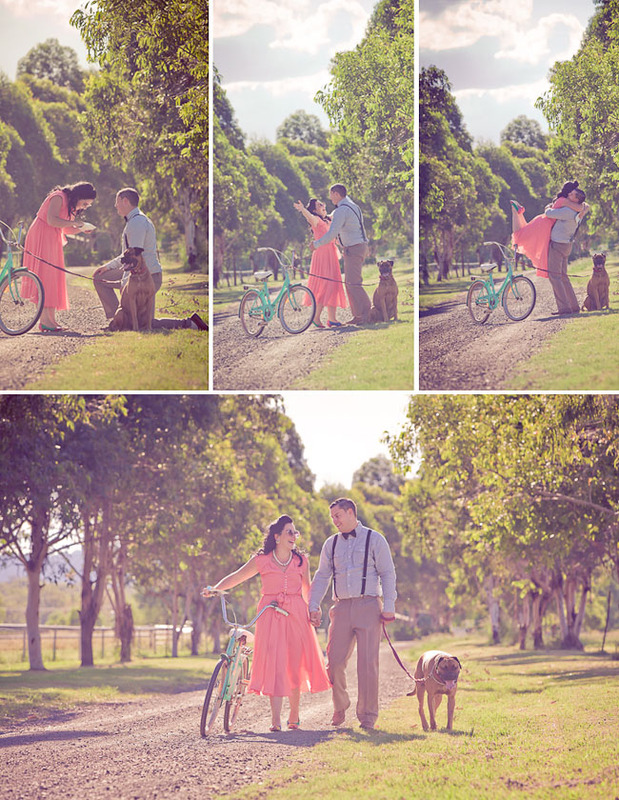 Btw, the dress is by an Australian designer – Alannah Hill – her designs are just stunning. Oh my gosh, that was amazing!!! i love the details on this. 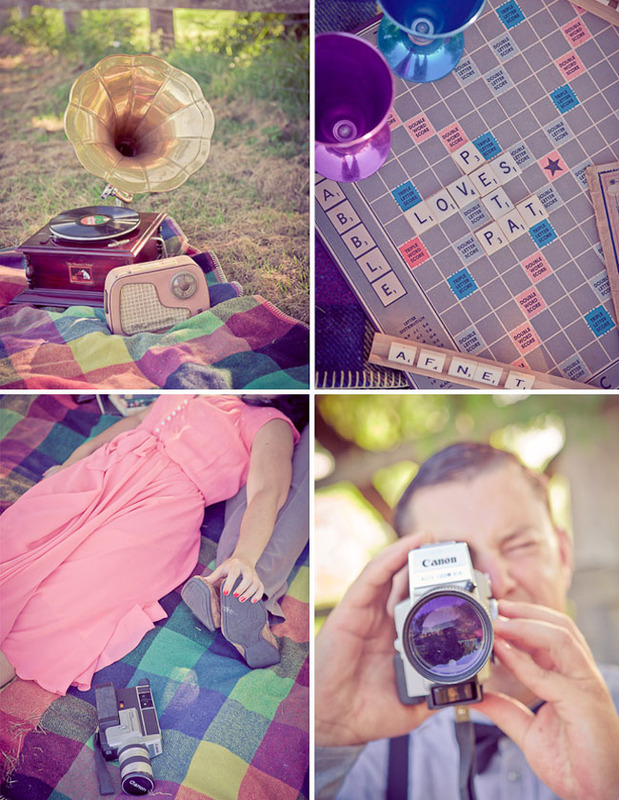 i kinda shot something similar (scrabble/picnic blanket set) but this one is better lol =) i love this! they look so happy and sweet! 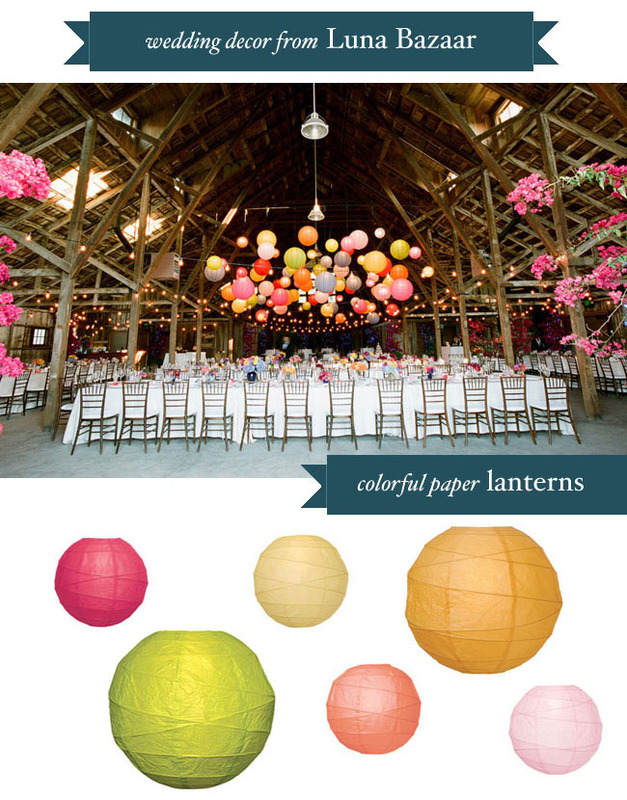 Very careful, the colors are the must! So lovely! Every detail is amazing – and the plane is such an unexpected surprise! 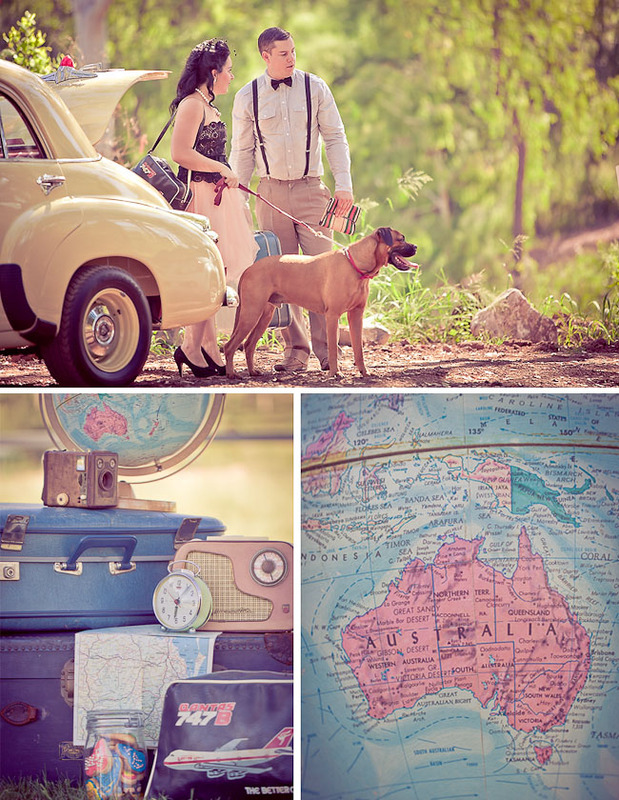 Oh my goodness I love the details of this shoot! The globes, cameras, luggage and Scrabble! LOVE IT! Well done! Tons of vintage props!!! :) Congrats! Absolutely love these – Great job. This is a really magical shoot. So impressive and the lighting is incredible!